For those of us that walk through Three Cornered Copse on a regular basis, we all agree that May and June show the woodland at its best. 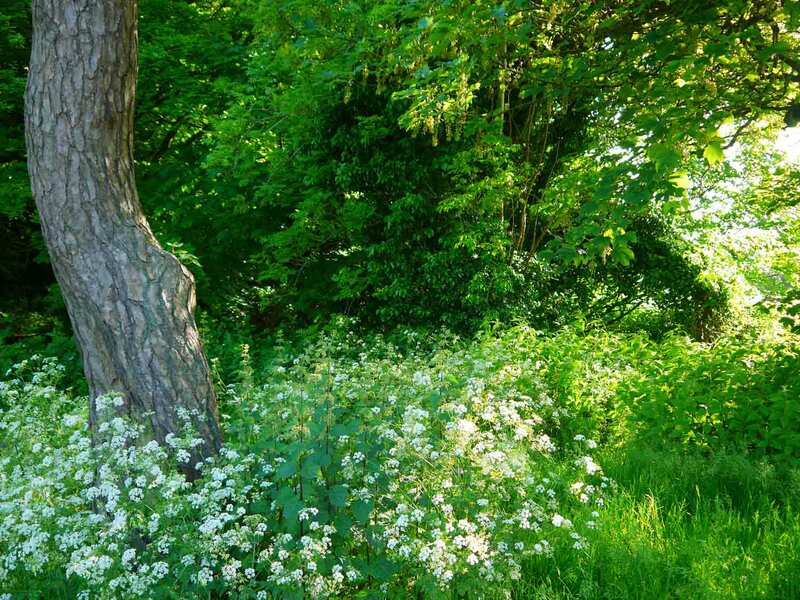 The Cow Parsley reaches head height in places and floods the air with its scent, and struggles to thrive before the roof canopy of the wood closes off the brightest of the light. The wild flowers erupt from the hedgerows, and the insects appear to begin their work. The paths are baked hard as concrete as the winter mud dries up, new tracks are worn through the undergrowth by small mammals, walkers and cyclists, and the nettles brush the passers-by, leaving a small reminder of their defences. The chorus of birdsong each morning and evening is deafening. And the variety of birds increases. Wrens, Blackbirds, Starlings, Swallows, Woodpeckers, Goldfinches, Crows, Jays, Wood Pigeons all appear, clamouring to define a territory for feeding and breeding. Standing at the top of the hill looking over the woodland, a hundred thousand shades of green fill the foreground, a dense billowing cloud of leaves. On 4th July, The Friends of Three Cornered Copse will hold the annual barbecue. So, if you see a park ranger's van, and a group of folks gathered around a picnic table, at the foot of the meadow, please feel free to stop and say hello. We hold this event each year, weather permitting, to say thank you to the volunteers, and rangers, who have helped on our work days, to keep the copse maintained and tidy. This day is also a work day, the copse is well-used at this time of year, so there's always plenty to do. We have the steps through the woods to restore, (the winter mud re-shapes them each year), some paths are cleared and of course the clearing of litter is a constant background task. The undergrowth takes over the coronation stone by July, so that will receive some attention.